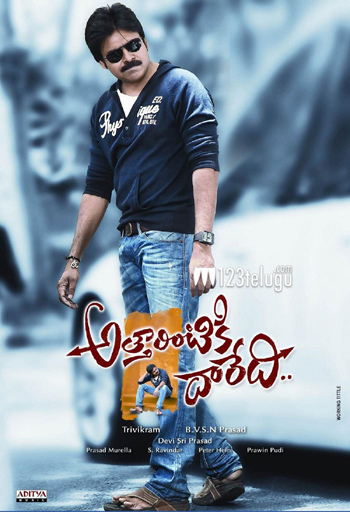 The audio album of Power Star Pawan Kalyan’s ‘Atharintiki Dharedhi’ will be released at a special function that will be held on the 19th at Shilpa Kala Vedhika. The event is expected to be a grand affair and many celebrities from the industry are expected to grace the event. Tight security arrangements are being made at the venue, in view of the huge crowds that are expected to gather. The organizers of the event have reportedly received strict instructions regarding the distribution of passes. Only a limited number of passes are being given out and steps are being taken to prevent inconvenience to the guests and fans. Devi Sri Prasad is the music director of this movie. Trivikram Srinivas is the director and Samantha is the heroine in this movie. BVSN Prasad is the producer of this big budget production.